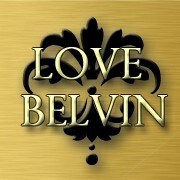 Love Belvin is the author of the Love’s Improbable Possibility series. The first installment of the adult romance series, Love Lost, the second is Love UnExpected, the third is Love UnCharted, and the final is Love Redeemed. This series is available online at most major retailers. Will there be a book 3 to the Waiting to breathe series? Will there be a book 2 to Love’s Inconvenient Truth? Also, I was wondering is there anyway I can get the updated short story to Azmir and Rayna without joining your book club? I have read all 7 of your books and I’m looking forward to Ezra’s story in “In Convenant with Ezra”. How many books will there be in “The Love Unaccounted” book series? I don’t exactly remember how I stumble upon your books I’m truly a fan. I actually read Love’s Inconvenient Truth first then I read the Love’s Improbable Possibility book series and then the Waiting to Breathe book series. I have read Love’s Improbable Possibility book series twice and waiting to breathe series twice as well. I’m anxiously awaiting Ezra’s story and who’s going to be his love interest. I love the way you keep me guessing in your writing and how things come together. You are very detailed in drawing me into every experience the characters are engaged in and and I love how the male characters are somewhat scared to embrace their feelings vocally but will to the person they love. Showing their vulnerability. You are a great writer and I’m looking forward to each and every book you put. Thanks for sharing your creativity. – I haven’t heard from StentZo, so I don’t see more for their series. Maybe a follow up in another project, but not their own. In fact, they’ll have cameos in In Convenant with Ezra. – Unfortunately, The L.I.P.’ers Club offer is a package. #TeamLove is holding strong to that decision. – There may be two or three books in Love Unaccounted. Now that I’m into book two, I should know soon if there will be a three. Thanks for your encouraging words. I get slammed a lot for being overly detailed, so I appreciate when someone enjoys that element of my writing. I need the feedback, whether it’s good or bad, so please keep in touch and tell me what you think. I enjoy it!